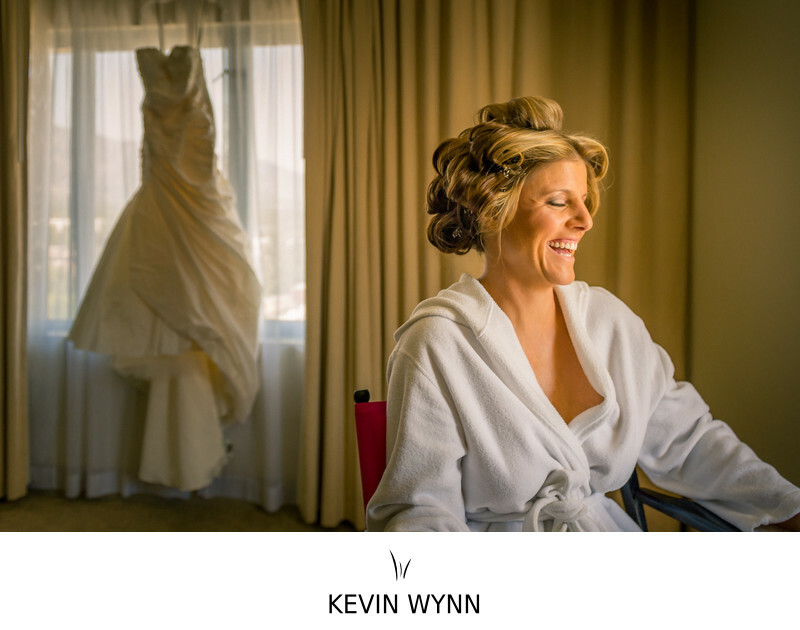 While I was setting up the detail shot of the bride's dress, I noticed her laughing with her sister and mother on the other side of the hotel room. I wanted to capture their joy while also including the dress in the background. Keywords: Getting Ready (159), Pasadena (30), Pasadena City Hall (6).